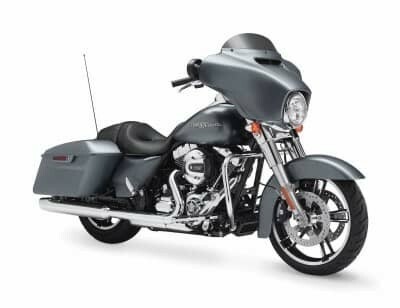 The Harley-Davidson® Electra Glide® Ultra Classic® is one of the most popular models in the Harley-Davidson® Touring lineup thanks to its classic good looks and sophisticated touring features. It’s the perfect companion for long days out there on the road, or just a short trip to Aurora Reservoir, and it’s available now here at Avalanche Harley-Davidson®. 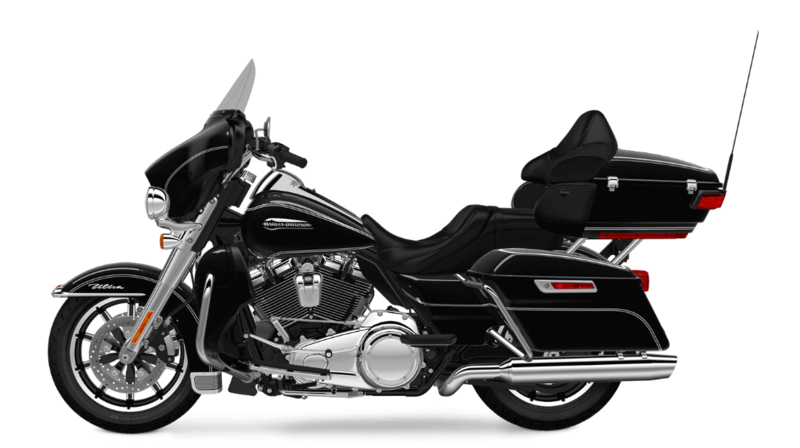 Find out more about the Electra Glide® Ultra Classic® and its brand new, high-powered engine. 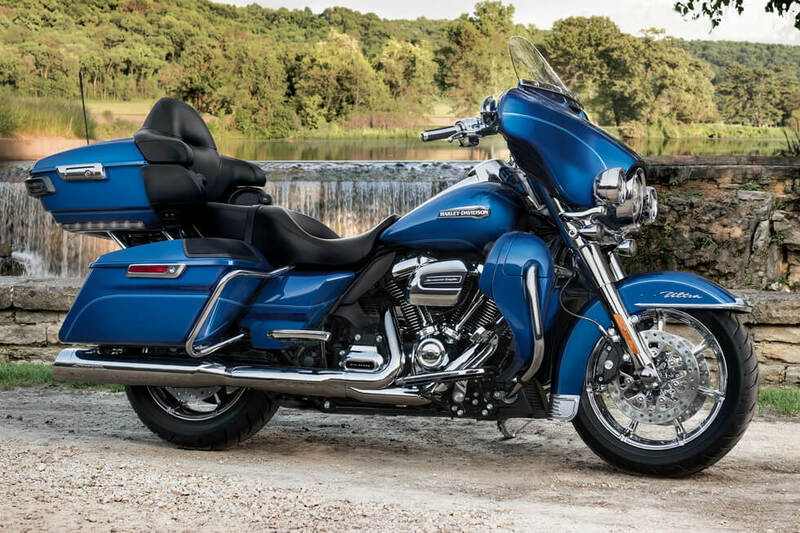 The Electra Glide® Ultra Classic® is loaded with some of the latest innovative motor tech and design features to put you firmly in control of all that authentic Harley-Davidson® power. All-New Milwaukee-Eight™ 107 Engine: This all-new V-Twin delivers the classic style and exhaust note that you know and love, with more power and performance than ever before. It’s a thoroughly modern engine that gives you more passing power, smoother and cooler operation, and even more charging for all your accessories. Milwaukee-Eight™ Overview: The new Milwaukee-Eight™ 107 delivers more power thanks to more displacement and a higher compression ratio. With better cooling, the engine runs cooler, and counter-balancing helps it run smoother. It’s a completely upgraded version of the Harley-Davidson® V-Twin that’s ready to take you on adventures high up in the Rocky Mountains. Project RUSHMORE – Innovations such as brighter brake lights and turn signals, stiff front forks, Daymaker™ LED headlamps and fog lamps, and Reflex™ Linked Brakes with ABS are all features developed through Project RUSHMORE to improve your ride quality and visibility. Ergonomic Hand Controls – It’s important to keep your eyes on the road, so the ergonomically designed hand controls provide a comfortable way to stay in control. Intuitive design makes is easier than ever to provide confidence-inspiring ease of use that’s just a simple push-of-the-button away. 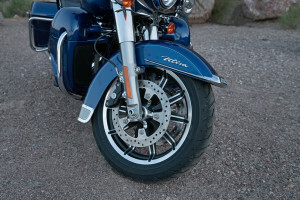 Reflex™ Linked Brakes with ABS – Like all Harley-Davidson® touring models, the Electra Glide® Ultra Classic® comes with Reflex™ Linked Brakes with an Anti-Lock Braking System. Locked up wheels are now consigned to history, as the front and rear brakes are linked electronically to provide ultimate stopping power in all conditions. Daymaker™ Lamps – A powerful 2,136 lumens provide a 160-foot spread and 450-foot reach of confident head lamp illumination that simulates daylight. 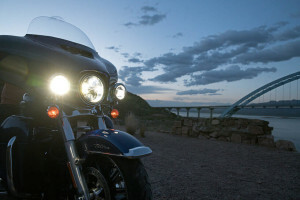 The LED headlight and fog lamps give you outstanding visibility on the darkest of roads. LED Tour-Pak® Lighting – The bright lighting of the LED Tour-Pak® luggage carrier not only looks great but makes it easier for you to be seen by drivers. Steering Head and Front Forks – The stiff front-end forks have an 18% increased fork diameter of 49mm, and the damping is fine-tuned to deliver the smoothest, most responsive ride possible. Suspension – Standard hand-adjustable suspension allows you to set your ride to handle any payload or road condition. 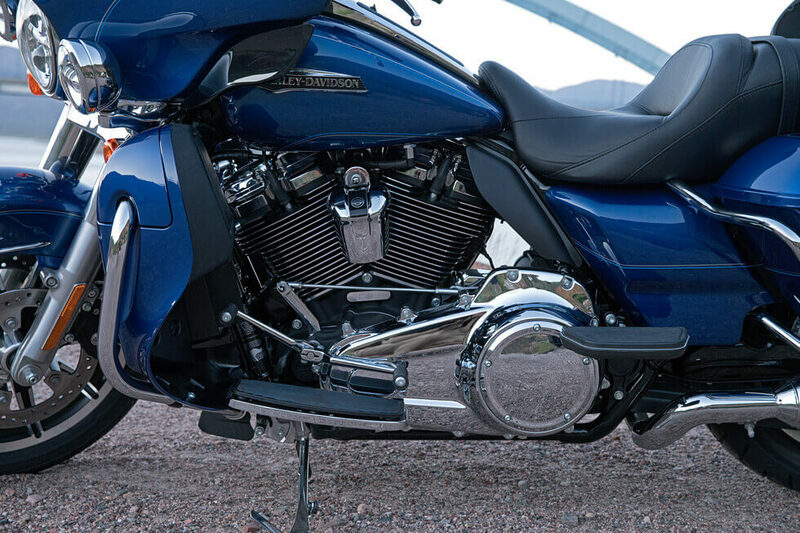 There’s a handy air valve situated between the rear fender and saddlebag that makes it exceptionally easy to adjust the setting the way you like it. High-Performance Brakes – The dual disc Brembo® brakes feature 4-piston calipers front and rear. Along with the dual rotors up front, you get thoroughly reliable, state-of-the-art braking. Tires – The Electra Glide® Ultra Classic® comes with 18mm Dunlop® Multi-Tread™ tires. Designed to be durable with maximum grip, these tires perform as well on twisty mountain roads as they do on the straightaway. Transmission – Smooth and quiet, the Six-Speed Cruise Drive® transmission features an Isolated Drive System so you can count on unbeatable reliability and a steady acceleration flow at all speeds. 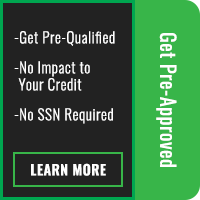 Optional Security System – The available H-D® Smart Security System automatically activates via a convenient wireless fob when you walk away from your bike. 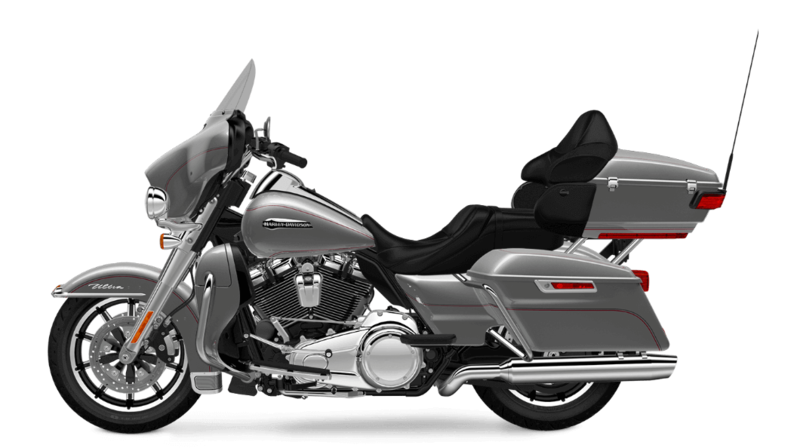 Project RUSHMORE Engine – The Project RUSHMORE engine is designed to provide all of the passing power, low-end torque, and deep rumbling exhaust note that Harley-Davidson® purists demand. 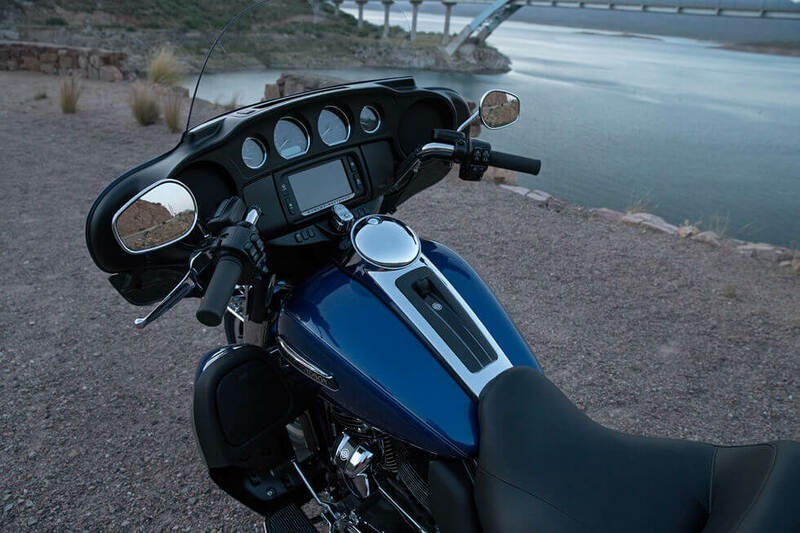 Smart technology has helped to create the array of excellent motorcycle-specific infotainment features you’ll find on the Electra Glide® Ultra Classic®. Boom!™ Box Radio – Offering 25 watts per channel, 1% distortion, and 25% more volume, Boom!™ Box 4.3 Radio has an equalizer that not only provides more power, but also maintains sound clarity at any speed. Optional Color Touch Screen – A 6.5-inch full color touch screen can be added featuring crisp graphics with auto and manual dimming to add a higher level of functionality to your Electra Glide® Ultra Classic®. Easy to Upgrade – When you upgrade to the available Boom!™ Box 6.5GT, you can customize your system to include P&A satellite radio along with additional weather and traffic alerts that can be added to GPS maps. Front and Rear Speakers – Powerful 5.25-inch speakers are secured in the front and rear of the bike to deliver pristine sound. Large Buttons – It’s easy to operate all buttons now that they’re larger and better suited to use while wearing gloves. Jukebox with USB Port – The convenient Jukebox features a USB port making it easy and simple to use your iPhone or an iPod type device. Best of all, once connected to your bike, these devices can be operated by hand controls or voice commands. The comfort and convenience features of the Electra Glide® Ultra Classic® will ensure that every time you throw your leg over the saddle, you’ll experience the epic ride you expect from a Harley-Davidson® motorcycle. 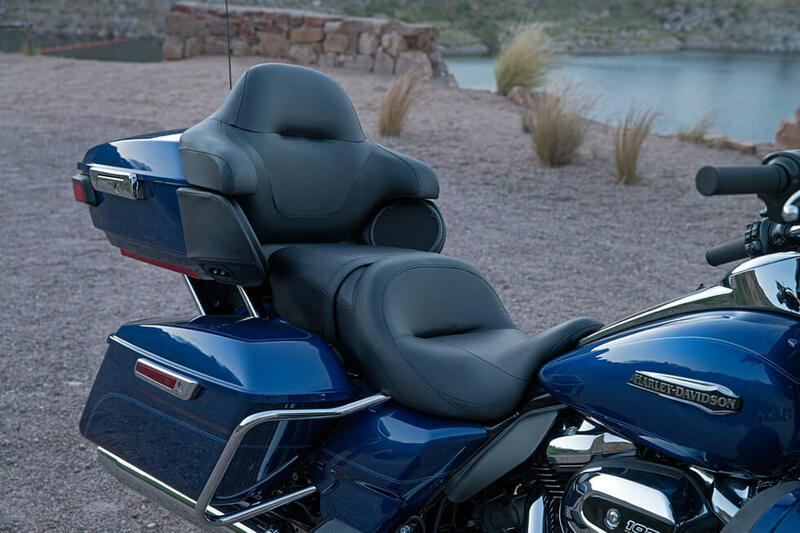 Project RUSHMORE Features – Increased storage space and convenient one-touch opening are just a couple of the innovative features that show the meticulous attention to detail that Project RUSHMORE brings to your Electra Glide® Ultra Classic® experience. New Fairing Design – Thousands of hours of wind tunnel testing have resulted in the development of an aerodynamic Batwing fairing that creates a smoother air flow, greatly reducing head buffeting. Two-Up Seat – The comfortable and stylish leather trimmed Electra Glide® seat is the ultimate touring saddle. Set at a low 693mm, the seat has a deep bucket and a narrow neck, and it’s ergonomically designed to provide maximum support. Back and Arm Rests – Your passenger will be riding in the lap of luxury with the plush leather of the ergonomically designed back rest with lumbar support and comfortable arm rests. Passenger Comfort – There’s also more room for your passenger. A wider and longer passenger pillion provides increased legroom and best-in-class comfort. One-Touch Design – All storage compartments and saddlebags employ unique one-touch opening features. This system makes it a breeze to access or store gear with one gloved hand, an ideal solution for any motorcycle rider. The fuel door also benefits from this smart design. All you have to do is press the button to open it. Accessory Connector – The high-power accessory connector adds another level of convenience to your ride, providing a robust electrical charging system to accommodate any and all additional features you’d like to add. These custom touches can include engine lights or even heated handgrips, seats, and vests. Battery Charging Harness – A convenient battery charging harness is now standard equipment on the Electra Glide® Ultra Classic®. Saddlebags – The sleek design of the saddlebags is a bit deceiving, but once you pop them open you’ll find more than ample storage space inside. The one-touch opening and integrated lock are additional features you’ll appreciate. Full-Length Floorboards and Toe/Heel Gear Shifts – The full-length floorboards and height-adjustable passenger boards were designed to maximize comfort. 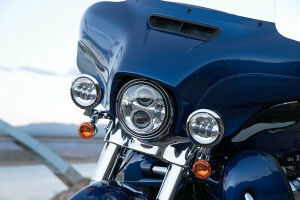 Riders will also benefit from the convenient toe-shift and heel-shift options, especially on those longer road trips. Fairing Lowers – You’ll find that the fairing lowers are set just right. They’re also vented to let air through when the pavement gets too hot. Project RUSHMORE Comfort – All features underwent extensive testing to ensure that they’re exactly what experienced riders want. Everything from airflow to seat texture was carefully studied, tested, and adjusted to make you and your passenger as comfortable as possible whether tooling around town or hauling down the highway. Cruise Control – Riders know that cruise control is a must for a touring bike, and Harley-Davidson® has made it a standard feature on the Electra Glide® Ultra Classic®. Just a tap of your thumb means you’re set for miles. Handlebar – The wide set, gleaming steel handlebar provides both authentic style and top-notch comfort, allowing you to ride in a relaxed and commanding position. Tour-Pak® Carrier – With a compact design and generous storage space, the Tour-Pak® Carrier can easily accommodate two full-face helmets. They also feature a handy toolkit and document pouch, as well as one-touch opening and an integrated lock. 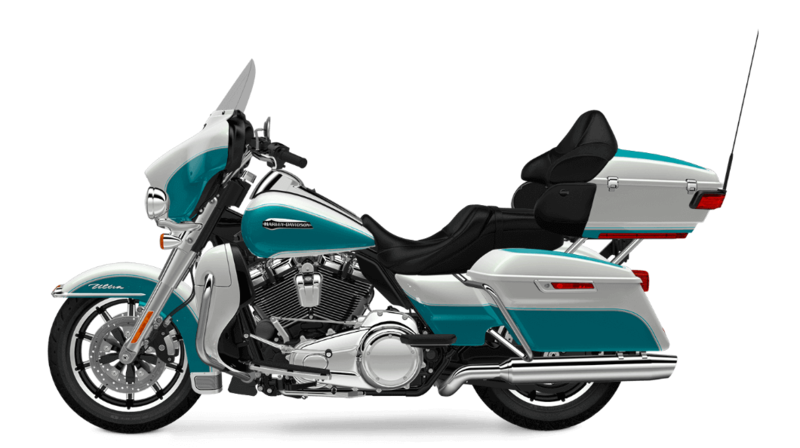 Plenty of authentic Harley-Davidson® details make the Electra Glide® Ultra Classic® a touring bike that will attract a lot of attention. Project RUSHMORE Style – The Electra Glide® Ultra Classic® is clean, modern, and tight from fender to fender. 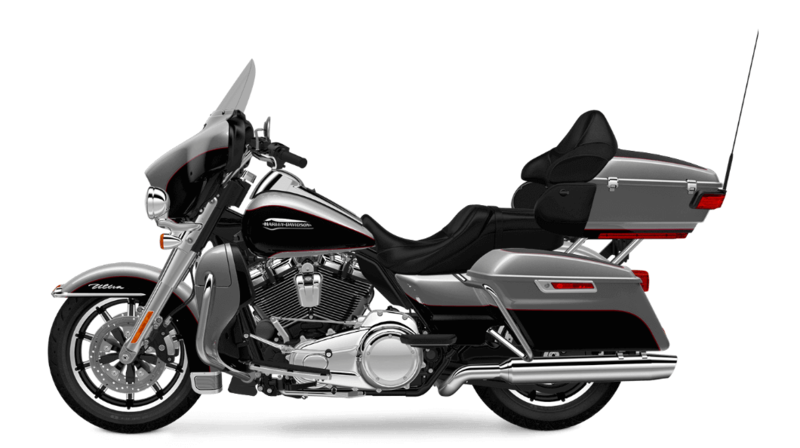 It has all of the classic Harley-Davidson® styling cues as well as a distinct contemporary flare. Impeller® Wheels – A sturdy 17-inch, 10-spoke Impeller® wheel sits up front with a 16-inch Impeller® in the rear. These cast aluminum wheels provide pure custom style and look great with specially designed brake rotors. Fairing and Front Fender – Both the front fender and front and rear fairing have been re-styled. It’s a smartly integrated design concept, from the Batwing front fairing and dynamic front fender, to the fairing lowers and sleek Tour-Pak™ luggage case. Pure Harley-Davidson® Style: The Milwaukee-Eight™107 looks just as good as it sounds and feels. With classic chrome rocker covers and air filter cover, and distinctive new 107 badging, it’s a head turning powertrain. Fuel Tank – The big, six-gallon fuel tank sports a two-color paint scheme with pinstripes and distinctive Harley-Davidson® medallions. This tank is even large enough for you to add some custom touches if you like. Bullet Turn Signals – These bullet turn signals are quite simply classic, and they put just the right finishing touch on the bike’s sleek and iconic style. Tank and Fender Badges – The metal signature badging on the fuel tank and fenders are both bold and retro-styled, as befits a true classic. Inner Fairing Design – A larger display screen with larger speedo, gear indicator, fuel, and temperature gauges are all smartly integrated into the inner fairing design.